SMPTE is collaborating with the Academy of Motion Picture Arts and Sciences to conduct the year's second face-to-face Interoperable Master Format (IMF) plugfest, designed to test vendors' ability to create and play interoperable IMF packages. First standardized by SMPTE in 2013, IMF enables efficient, consistent, and reliable exchange, delivery, and archiving of media for motion pictures, television, and other content platforms. To facilitate broad industry participation from around the world, SMPTE has scheduled a second plugfest for October18-19, just days before the SMPTE 2018 Annual Technical Conference and Exhibition (SMPTE 2018), which will take place October 22-25 at the Westin Bonaventure Hotel & Suites in downtown Los Angeles. The plugfest will be held at the Academy's Pickford Center for Motion Picture Study in Hollywood, CA, as a meeting of the SMPTE Media Packaging and Interchange Technology Committee (TC-35PM) Plugfest Drafting Group. The year's first face-to-face IMF plugfest organized by SMPTE was hosted earlier this year by IRT in Munich. "The Munich plugfest delivered exciting results, and interest in IMF continues to grow," said SMPTE director of standards development Thomas Bause Mason. "Industry members, including some major players, continue to embrace this format, largely because they like the many benefits it offers. We expect participation in both the Hollywood plugfest and in vendor demonstrations at SMPTE 2018 to be very promising for the future of IMF." More than 20 organizations have registered to take part in the face-to-face plugfest in Hollywood. Results from the event will be anonymized and then shared with SMPTE TC-35PM members. SMPTE will also conduct a "virtual plugfest" in advance of the Hollywood event to provide vendors with the opportunity to work with the source material ahead of time in their labs. Details on the virtual event are available to members of the SMPTE working group on plugfests. Registration for the Hollywood plugfest is required and will be open until September 18. Participation requires SMPTE membership and Standards Community participation within SMPTE TC 35PM. More information on membership is available at smpte.org/join. 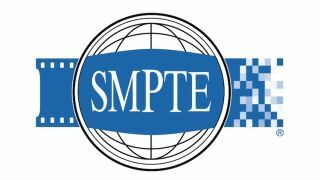 Qualified guests may attend subject to space availability, upon completion of a guest participation agreement, which is available by emailing a request to standards-info@smpte.org. Hotel accommodations at the Westin Bonaventure Hotel & Suites, with reduced pricing, are available through September 28, or while rooms remain through the SMPTE 2018 website: smpte2018.org/event-info.html.